“For the last two decades, Ichiro has been an integral part of the Seattle Mariners organization. That has not changed with today’s announcement. He will remain a key member of our Mariners family. Ichiro was a trailblazer when he arrived in 2001 and ushered in a new era for international players with his impact, and he demonstrated daily the skill, passion and preparation that only the truly great have over his playing career. We appreciate all that he has done for the Mariners, and for Major League Baseball, on the field. Personally, I deeply appreciate the advice and insights he has offered me in the last year. “One of the great joys of working in baseball is the opportunity to have a front row seat to history. My time in Seattle has provided me that opportunity. I have been able to watch Ichiro from his Rookie of the Year arrival in 2001 to now. He is, undoubtedly, a first ballot Hall of Famer, and I was privileged to get to witness his career up close. 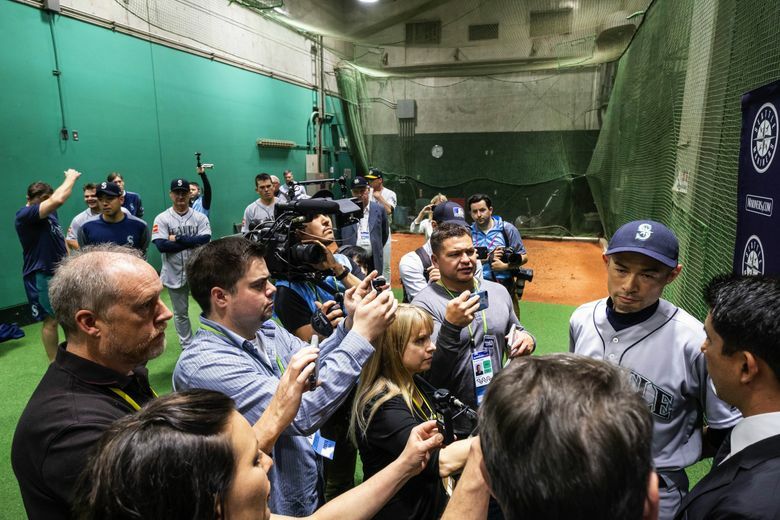 “My first encounter with Ichiro was as a scout in the spring of 2001, just days after my playing career ended, and weeks before his MLB journey officially began. I marveled at his combination of speed and bat control then and remain amazed today. Many years passed before I had the opportunity to meet Ichiro upon his return to the Mariners in the spring of 2018. Over this past year I have found an even greater respect, not just for the player, but for the man. His commitment to achieving greatness and single minded focus on practicing his craft are the stuff of legend. “As a manager and as a fan of the game, I will miss having him on our active roster. But selfishly, I am glad to know that he will be available to me during the course of the year. I truly valued our conversations last season, and the insight and perspective he was able to provide me. “Today we celebrate the remarkable career of Ichiro Suzuki, one of our game’s greatest players. Since entering Major League Baseball in 2001 and winning both the American League Rookie of the Year and MVP Awards, Ichiro established himself as a player unlike any other. He will always be remembered for his incredible talent in all aspects of the game, his historic seasons playing for the Seattle Mariners and for being part of the championship‐winning Samurai Japan in the first two editions of the World Baseball Classic. From Ichiro's 1st hit to his 3000th. There has never been anyone like Ichiro. There will never be anyone like Ichiro. A truly singular figure who conquered two leagues, two countries and the hardest game in the world.